Joy is a certified Angel Therapy Practitioner® and Medium, having received certification from Doreen Virtue, PhD. She uses Angel communication, clairvoyant, and clairsentient abilities to bring forth messages from deceased loved ones, divine guidance, healing, and spiritual well being. 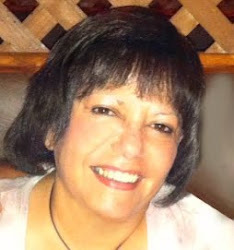 Joy has had formal Clairvoyant training at Intuitive Insights, located in San Diego, CA. Joy is the producer and host of her own radio show, Angel Talk Cafe on Blog Talk Radio. .
Nearly 20 years ago, Joy started down a path of spiritual growth and healing. Since then she has immersed herself in the metaphysical community and has dedicated her skills to helping others. Along the way, she has gained many valuable experiences from volunteering her time at metaphysical bookstores to being certified as a Reiki Master. This metaphysical journey has taken her from student to teacher, and ultimately led her across the country. She currently resides in San Diego, CA where she conducts private readings, and teaches Reiki I & II, Angel communication, Mediumship, and Psychic Development.